2012 Winter Dance Workshop is almost here!! 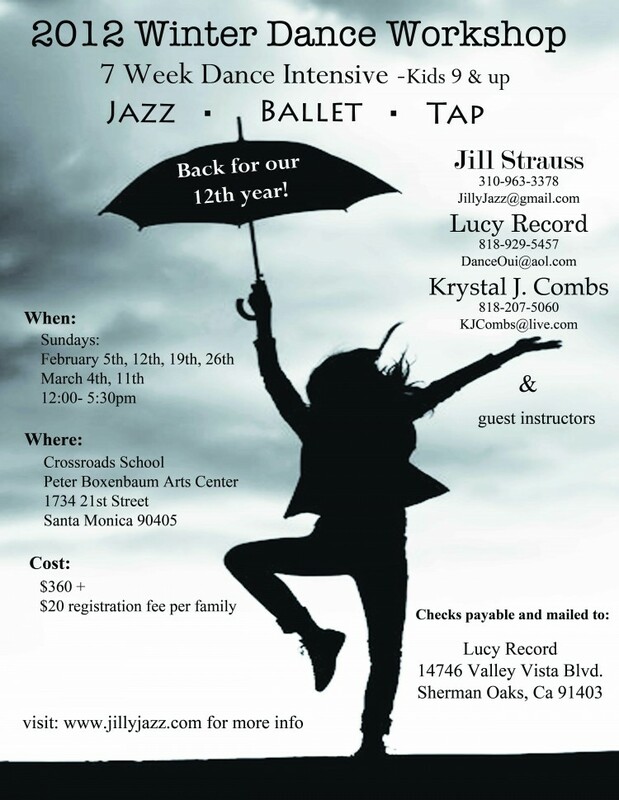 Registration is now going on for our 12th Winter Dance Workshop. Seven Sundays beginning February 5th – March 18th. Three levels of classes for kids 9 and up. The very best in Jazz, Ballet and Tap. ~ by jillyjazz on January 10, 2012.